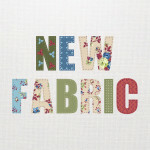 Take A Look At Our New Fabric! We're thrilled to announce the launch of our new fabric, Soft Canvas. This heavyweight polyester (250gsm) is a replacement for our Special Twill, and will be the same great price of £23.99 per metre. The Soft Canvas is a hardwearing fabric, but with a soft feel. 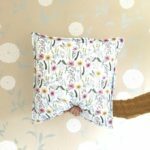 This means it can be used for a variety of projects, such as making bags, cushions or even table linen. Being a polyester it means you'll also get improved wash fastness and colour vibrancy compared to our cottons. We've added jersey to the range! 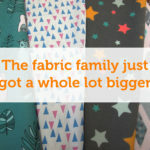 We can't stop raving about our new jersey fabric. This high quality 220gsm polyester jersey is ideal for making clothes, such as t-shirts. 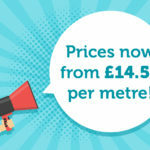 Our prices now start from an unbelievable £14.50 per metre. 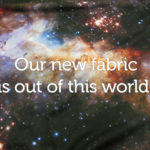 This is thanks to the introduction of our new fabric to the range, Standard Cotton. 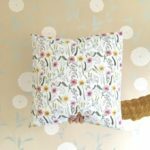 What's more a Standard Cotton fat quarter is only £8.50. 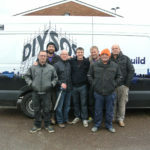 At Woven Monkey we're delighted to have been involved in helping the BBC One series 'DIY SOS: The Big Build'. 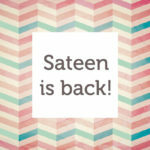 We're delighted to announce we're having a sale at Woven Monkey! 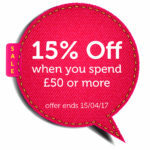 If you spend £50 or more you'll automatically receive a 15% discount off your purchase. 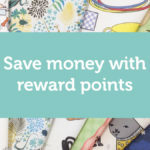 This offer also applies to our shop designs as well.